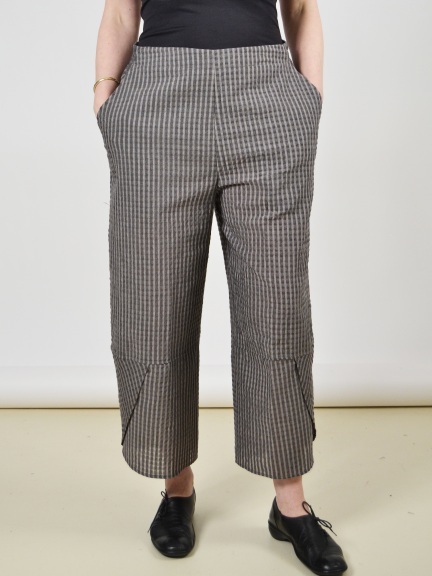 A cropped, wide-leg pant with subtle details to surprise. Textured stripe fabric in tonal grays. Overlapped petal detail at hem. Pull on styling, with flat front and elastic back waist. Angled pockets at hip. Made in USA.